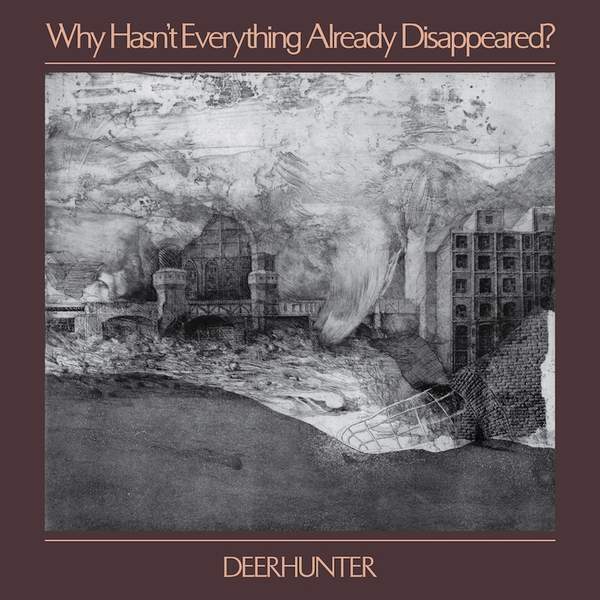 It’s not about correct answers, it’s about good questions, and Deerhunter continue to ask them in this searching new album. By now we know Deerhunter well as a pioneering force in music and culture. In earlier years the band labelled themselves ‘ambient punk’, a half-joking nod to the abrasive and atmospheric qualities of their music, but also signalling their resistance to easy categorisation. And resistance persists on Why Hasn't Everything Already Disappeared?, described as a science fiction album about the present day Deerhunter revoke nostalgia and embrace new methods and instruments on the record, working closely with co-inquisitor Cate Le Bon to push further into the unknown. For the chance to win a copy of this week's Album Of The Week, Triple R subscribers can email us before Sun, 3rd Feb 2019 at albumoftheweek@rrr.org.au with their full name and subscriber number in the subject line. We have a prize policy of 1 CD per subscriber per month so we can share the love and make it fair for all!